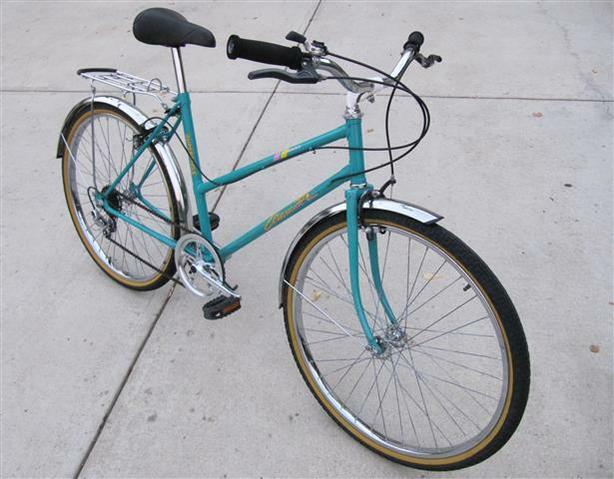 Ride around town in style and comfort with this 30 year-old city bicycle by SuperCycle (made by CCM) which features an 18-inch step-through frame, six speeds, side pull brakes and 26-inch wheels. Other perks about this bike include extras like a rear luggage rack, chrome fenders, comfy saddle & and an alloy kickstand. Used, but in good condition.